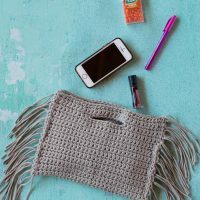 Are you interested in learning how to crochet? Does the idea of choosing which yarn and which hook to use overwhelm you? Let me help! Crochet is my passion and I would love to help you on your journey to your new favorite hobby, crochet! Ready to learn how to crochet? Let me help! Crochet can be intimidating. Let me assure you, it’s not as complicated as it may appear. 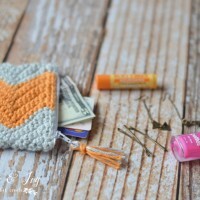 Once you learn how to crochet, your world will be opened up to this fun, relaxing hobby! Crocheting is simply pulling a loop of yarn through another loop. Despite what many may thing, crochet requires no talent. You simply need patience and practice to catch on to this timely art. Before you know it, you will be making all your own accessories (and anything else you can imagine!). 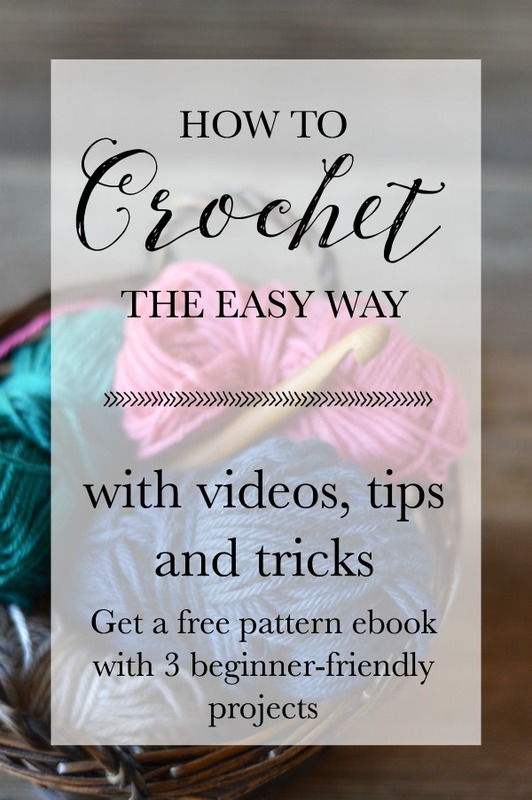 You can learn how to crochet ! 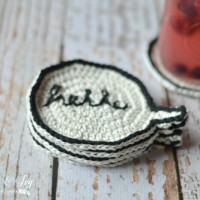 What hook do I need to learn how to crochet? I am pretty easy when it comes to hooks. I don’t believe that the hook will make or break your success in learning how to crochet. However, I do have preferences, but these are my personal tastes, and you will find that you may prefer something else as you begin learning. Personally, I prefer a tapered hook (the blue one). A tapered hook (like Boye or Clover) lets the yarn glide over the end of the hook. I have tried using an in-line hook (Susan Bates hooks) and the yarn would snag terribly! That being said, I learned with an tapered hook, so that may be the problem. I have heard from others who learned on an in-line hook they they have a hard time with a tapered hook. Currently, I use Clover Amour hooks and love them. 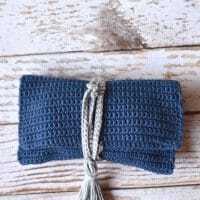 They are incredibly comfortable to hold, compact enough to easily take with you when you are crocheting on-the-go, they are quality made and the metal tips lets the yarn slide easily. If you are ready to make an investment in the health of your hand, Furls Crochet has beautiful and comfortable hooks. My favorites are the Candy Shop Hooks. They come in beautiful, bright colors and have a smooth, glossy finish. The Candy Shop hooks are also a bit more affordable, tooThey fit perfectly in your hand, and are made to keep your hands comfortable and relaxed. The tip of the hooks are tapered for the smaller hooks, and look a bit more inline-ish for the chunkier hooks. Additionally, I have used these off-brand hooks with success, but they don’t hold up well over time (the handles started coming apart), so keep that in mind. 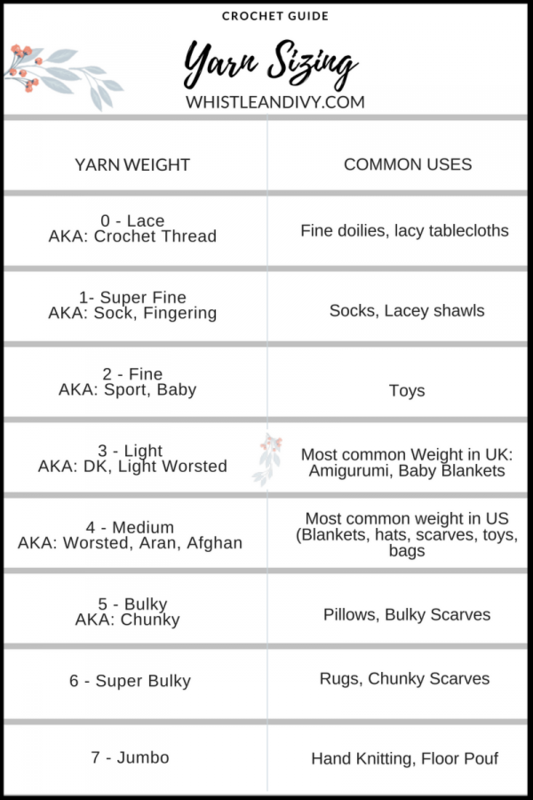 What do the crochet hook sizes mean? Hook sizes are slightly different for different countries. Because all my patterns are written in American Terms, I will explain a bit about American Hook sizing. 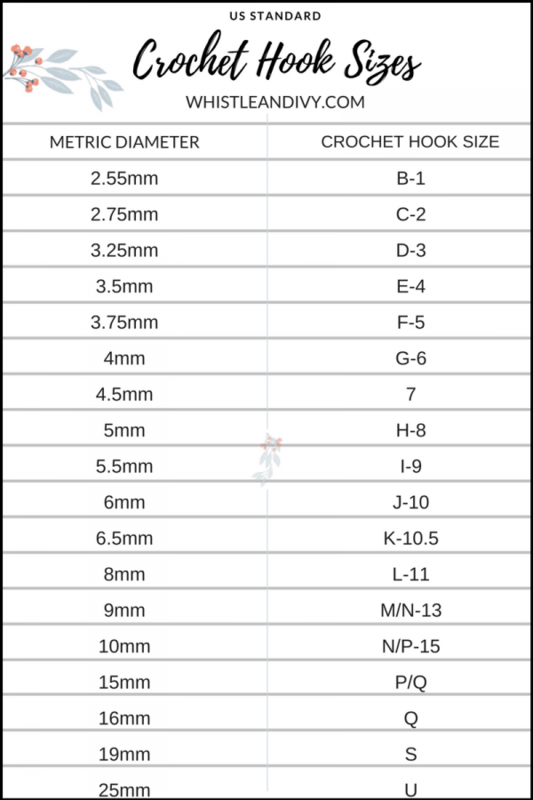 The sizes are simply the mm sizing of the head of the hook. The reason we use different size hooks is because we make lots of different things! For instance, when making a stuffed toy, you wasn’t small, tight stitches so the stuffing doesn’t come out. 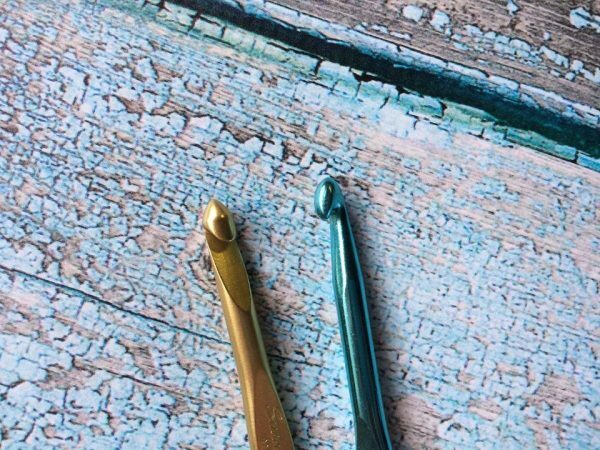 To make small, tight stitches you need a small hook. 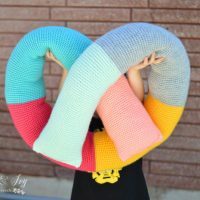 On the other hand, if you want a soft, billowy, chunky scarf, you will want to use a big, chunky hook and achieves bit spaces between the stitches. This graph shoes the most common hooks. You can get much larger ones and you can get tiny ones for thread as well. 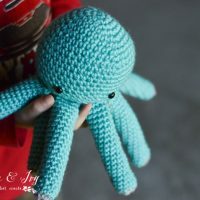 What yarn should I use when learning how to crochet? Oh yarn! All of it is lovely. I am no respecter of yarns, it’s all wonderful. I have used high-end hand-spun, hand-dyed yarn, and I have used inexpensive yarn too. 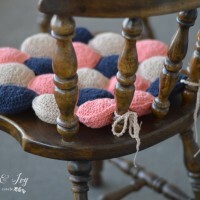 Depending on the project, you can find a use for every kind of yarn you can find. 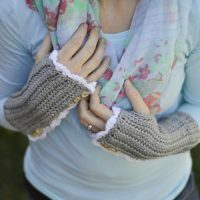 As a very first project, I suggest using a stiffer yarn (or scratchy!) as it’s easier to work with as a first time crocheter. A lot of vintage yarns are stiffer and scratcher than newer yarns, so you can try hitting up a thrift store to find old yarn. What Brands you do recommend? One of my favorite places to get yarn is Knit Picks. Their basic acrylic is soft and has the perfect amount of stretch, making it ideal for hats. They also have a lovely selection of cotton blends that I am in love with, (Comfy and Shine) and have yet to find a comparable yarn on the market. 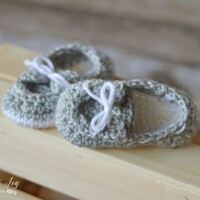 I love making baby booties with Mighty Stitch, a very VERY soft wool/acrylic blend. Other favorites of mine are Red Heart Soft and With Love. Both are lovely to work with and are very soft. I love Red Heart Soft for soft toys. The color selection is absolutely fabulous! 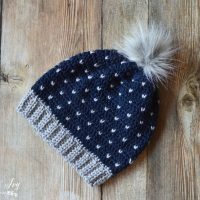 Red Heart With Love is perfectly squishy for a cozy hat. Do I Need Other Tools? One thing I can’t do without is a sharp darning needle. A sharp needle is invaluable when you finish your project and need to weave in your ends. These are my favorite ones. I also love these two pairs of scissors, these folding ones, and this PenCut Mini. I like to keep them in my project bag (the PenCut is in my purse) so I have scissors whenever I need them. First, learn to chain. Chain is abbreviated “ch” in a written crochet pattern. If the pattern says “Ch 20” it means to work 20 chain stitches. I suggest practicing the chain until you feel extremely comfortable! Don’t move on until you are very comfortabl with the chain. A big part of being comfortable is finding a comfortable way to hold your yarn. Once you are comfortable (seriously, don’t move on until you have mastered the chain) you can move on to the single crochet stitch. Okay, so now you are feeling pretty good about working chains. Now you can move on to working a single crochet stitch. 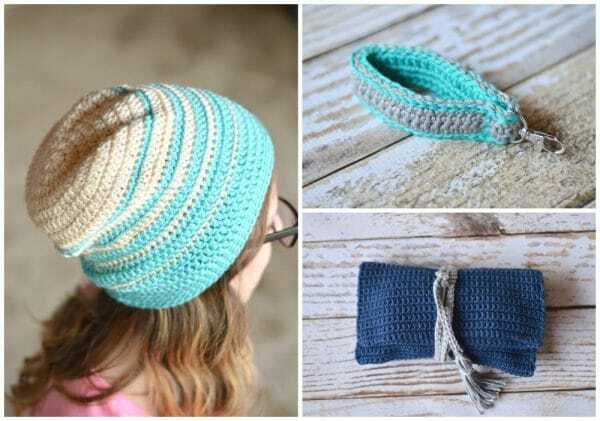 In the pattern, single crochet stitch will be abbreviated “sc”. 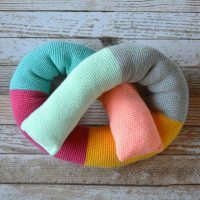 Once you have mastered the single crochet stitch (if you try the pretzel pillow, you will definitely master it! 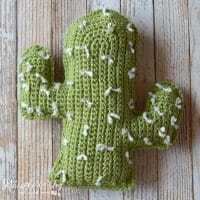 ), you can move on to a double crochet. This is a nice, tall stitch and allows you to make blankets and hats much faster than using a single crochet. 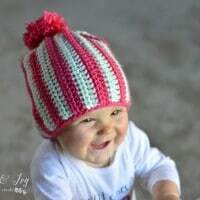 Double crochet is abbreviated “dc” in a written pattern. There are a couple more stitches that you may see in the future, but for now, focus on mastering these basics. 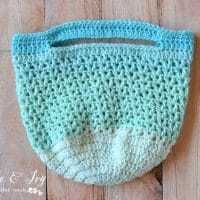 Crochet written patterns are simply written-out instruction for a crochet piece. It is much like turn-by-turn geographical directions. If you follow them closely and in-order, you will complete the piece. 1. Ch 20 (work twenty chains). 2. Sc in 2nd ch from hook. (Single crochet in the 2nd ch away from your hook, which should still be in the last chain you worked.) You can’t work in the chain immediately behind the hook, or you will undo the last chain. When working in rows, you will almost also always work in the 2nd or 3rd chain from the hook. You would work in the 3rd chain if you are using a taller stitch, like a hdc (half double crochet) or dc (double crochet). 3. Sc 18. (work 18 single crochet stitches, each in their own separate stitch). Turn. When working in rows, you will turn after each row, and work across the row you just completed, until the washcloth is as tall as you would like. 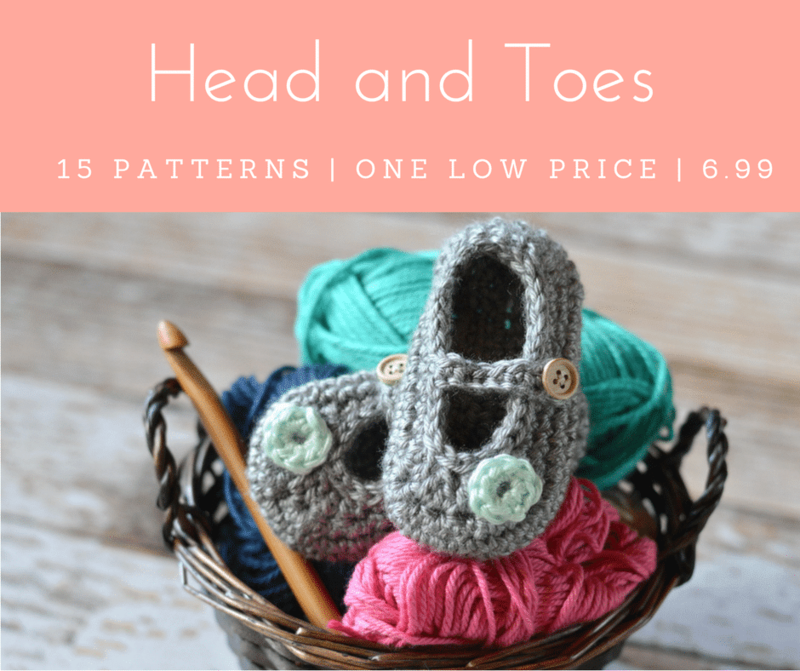 I put together a mini ebook of free patterns! Have more question? 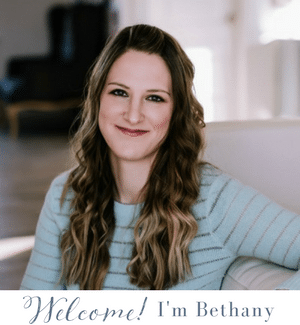 Send me an email!